Ultimate Safety While Keeping You Clean during Dirty Jobs! 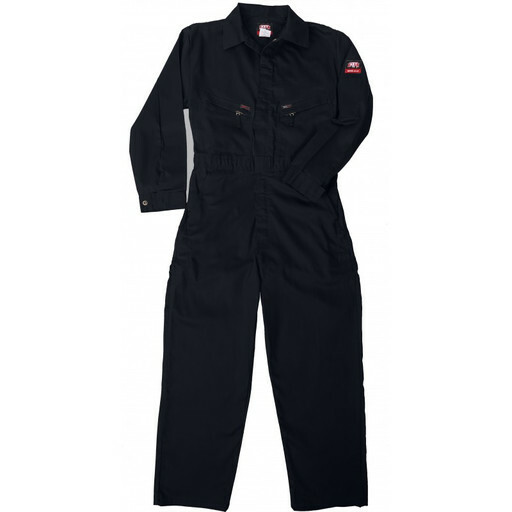 Rely on the KEY Flame Resistant Unlined Coverall for Ultimate Safety, while keeping you clean during dirty jobs. The Heavy-Duty Cotton material has an air brushed finish for softness and features reinforced pockets for durability. It is made with a Relaxed Fit and includes adjustable cuffs, two piece sleeves, and a pleated back for comfort and ease of movement. Keep your essentials handy with the variety of pockets, including utility, hip, and pencil pockets. Rated HRC Level 2 and ARC Rating 8 and NFPA 2112 Certified for your safety needs. For Safety you can count on, KEY has you Covered!